You brought your child to the hospital with symptoms like poor language development, unusual or repetitive behaviours and a diminished interest in other people. Doctors (psychiatrist) after thorough evaluation confirmed that the symptoms were the symptoms of Autism. 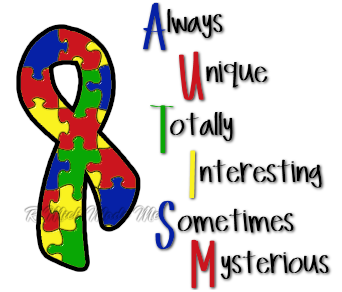 Autism is one kind of developmental disorder that appears in early childhood - usually before 3 years of age. Though symptoms and severity vary, autism affects a child's ability to communicate and interact with others. Autism is a physical condition linked to abnormal biology and chemistry in the brain. The exact causes of these abnormalities remain unknown, but this is a very active area of research. There are probably combinations of factors that lead to autism. Age of parents and genetic factors seem to be important. For example, identical twins are much more likely than fraternal twins or siblings to both have autism. Chromosomal abnormalities and other nervous system (neurological) problems are also more common in families with autism. There is currently no cure for Autism. However, a range of special education and behavioural programmes (often referred to as interventions) can be effective in improving the skills of children with autism. ABA methods are early intervention programs for children with Autism which are based on theory that behaviour which is rewarded that more likely to be repeated than the behaviour which is ignored. ABA uses a one-on-one teaching approach that reinforces the practice of various skills. 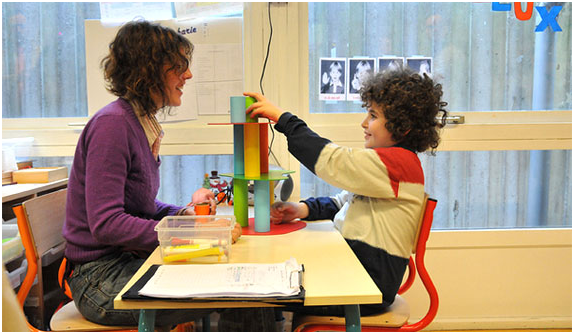 ABA techniques are used to support children with Autism in variety of ways, including-teaching new skills, increasing and /or maintaining behaviour and restricting and reducing interfering behaviour. No drug can cure developmental disorder. Medications targeted towards specific symptoms like behavioral or emotional problem or convulsion that people with autism may have are currently in use. 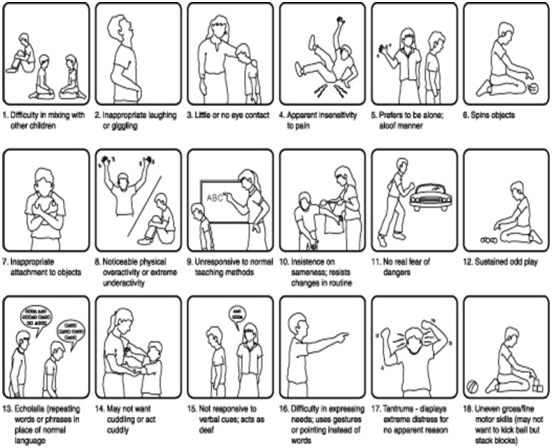 Child with Developmental disorder has sensory difficulties. 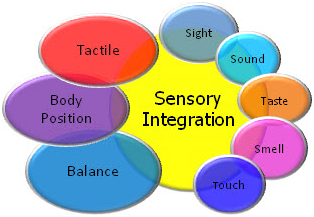 They may have sensory disintegration where they lack the availability to integrate the senses or they have sensory dysfunction where they may be hypo or hyper sensitive. This therapy focuses on sensitizing or desensitizing the child and helping him or her to recognize the sensory information. Beware that there are widely publicized treatments for autism that do not have scientific support, and reports of "miracle cures" that do not live up to expectations. If your child has autism, it may be helpful to talk with other parents of children with autism and Psychiatrist and Psychologist. Follow the progress of research in this area, which is rapidly developing. Along with these, Special Schools also play a very important role in intervention process. Some people with autism rarely can develop seizures. Consider for joining a support group or a rehabilitation centre. During a two-hour play date, child can do about six to eight activities for 15-20 minutes each. One of the primary goals of the play date is to improve socialization. Countless ideas exist for play date activities. A few of them are listed here. Exercises and yoga. Leading a few exercises, taking deep breaths, or doing yoga poses at the start of a play date can help focus the children. Reading. Reading books on emotions, social stories, or just for fun can be an effective way to help children become engaged and understand ideas. Conversation. This is a simple activity in which the children choose cards that have questions written on them. The children ask each other questions, with the goal of more spontaneous conversation resulting over time. Moody Monsters. This game combines recall skills with emotional awareness. The game consists of several sets of cards featuring monsters which each display a distinct feeling. Cards are placed face down. 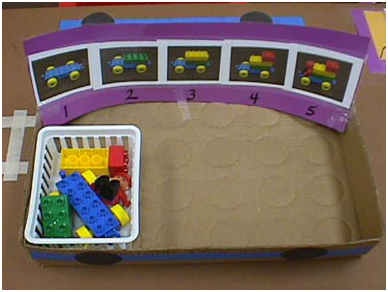 Children pick up two cards at a time, trying to find matched pairs. Catch. A simple game of catch or kicking a ball back and forth can help kids focus, increase eye contact, and provide all the regular benefits of exercise. Role and Symbolic Play. Imaginary scenarios can be created to help kids think abstractly and spontaneously. In this case the kids pretended to be a waiter and a person eating at a restaurant, and they included puppets and stuffed animals as customers. Music. Each child plays an instrument such as drums, tambourine, or keyboard along with a song playing on a CD. The kids switch instruments and then sing along to a song by reading the lyrics on a sheet of paper. Food-oriented holidays and family celebrations can be tricky, but you can say," My child can't eat that particular treat, but heres a great substitute that is okay for him/her." Keep emergency snacks and treats with you. Give Grandma/neighbor/school a chance: share a list of "safe treats" ahead of time. That way, others can buy or make them themselves. Call hosts, family, friends ahead of time and briefly share your child's dietary needs. Explain why you need special food, and tell them you will be glad to provide it if that solves the problem. Supply food substitutions quietly. If you don't mention it, others won't notice and your child won't feel singled out. Educate your child about allergies (therapists, teachers can help) help them learn to advocate for themselves and make safe choices. Offer to bring "special" foods that are suitable for everyone, for example, bake appropriate cupcakes for all the children at a birthday party, or bring mashed potatoes made without milk. Many processed foods contain gluten, wheat germ, (barley) malts, casein, caseinates, whey, and other no-nos in tiny amounts. Read the fine print on the label. If your child reacts or acts up after a meal that included a processed or canned food, be suspicious. Keep a written record, and watch for this to occur again. Be vigilant about hidden sources of exposure - for example, hand-to-month ingestion of non-foods can be a real problem. If your child touches homemade playdough (composed primarily of all-purpose flour) and then proceeds directly to snack time without washing hands, gluten can easily be ingested. Also be aware of inhaled particles, such as: wheat protein in hairspray, flour in the air during baking, etc. Cross contamination in kitchens - on the grill, in the fryer, on the slicer, etc. Ask your pharmacist about all ingredients, or, for over-the-counter medications, read the label or call the manufacturer. Most medications (prescription and OTC) can be compounded - ask your healthcare provider to write prescriptions for compounding, specifying they be allergen-free, and listing those allergens. And milk is baby cow food, not really intended for human consumption. Don't let the milk lobby override common sense. Ease your way in. Starting the diet isn't easy, but you can do it. If your child is young, don't delay. 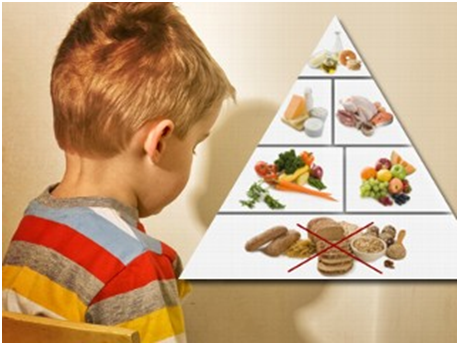 Typically, younger kids adapt more readily to dietary changes and it's easier to control their access to food. You know your child, and you know your own capabilities. You might start by replacing processed foods with fresh fruits or vegetables, for example. Avoid artificial colors and flavorings. Once you find successful alternatives, the diet becomes much easier.